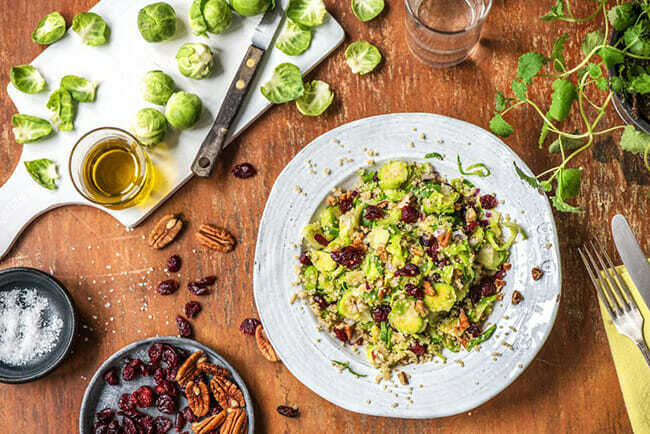 Green Chef is a healthy meal kit delivery service known for being the first USDA-certified organic and gluten-free meal kit company in America. Both the company’s dedication to quality and its impressive selection of special diet options have set it apart from the rest. However, due to constant reinvestments in the business, the service has not been as profitable as one would expect. In spite of its considerable revenue, it had to explore potential external funding options, which its CEO Michael Joseph spoke about in an interview he gave to Reuters in June 2017. Here is a brief overview of the situation that led to HelloFresh’s acquisition of Green Chef meal kit company. Namely, in 2017, Green Chef managed to raise $67 million from various venture firms. Still, in order to reach its goal, it needed to raise at least $50 million more, which unfortunately did not happen. In the abovementioned interview, Michael Joseph mentioned being open to acquisition offers. In Q1 2018, meal kit giant HelloFresh decided to acquire Green Chef, but acquisition terms have not yet been disclosed to the public. However, Green Chef’s CEO seems to be happy with this agreement and according to his words, this acquisition will help Green Chef continue its work on providing easy solutions for home cooks who want to eat healthily. HelloFresh has reasons to be satisfied as well, as it is estimated that Green Chef will contribute to HelloFresh’s revenue with around $15 million per quarter. Since both HelloFresh and Green Chef are stellar examples of meal kit companies that strive to provide only the best to their patrons and do an amazing job satisfying the needs of home cooks on different healthy diets, we hope that this acquisition will prove beneficial to both parties, as well as their loyal customers.